You get the benefit of our “hands-on” experience. We find the items, recondition them, test them, and warranty them. 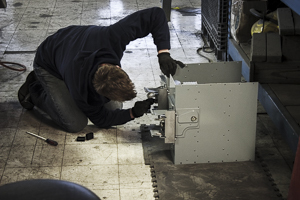 You get the reduced cost of reconditioned, which means facility expenses go down. Our capability is not limited to reconditioning. We repair bus duct and bus plugs, as well. 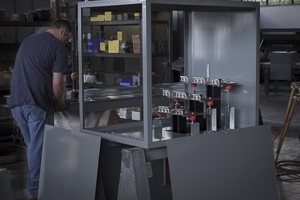 We customize bus duct sections, tap boxes, elbows, and more to demanding specifications. Some of our recent work includes repairing a Siemens BOS bus plug, a GE Armor Clad tap box, and a section of Square D copper busway. When we say “hands-on”, we mean it. You need proof. You are not alone. We often get questions of what will the product look like? All of the pictures on our website are products that we have reconditioned. We don’t post factory stock photos. We want you to see the quality of our work. We advise to never install an electrical component that doesn’t have your full confidence. That is why we warranty our work for one year, and offer returns on any standard product, no questions asked. But, maybe you do have questions. When you contact Legacy, a real, live person answers the phone. You can ask questions. We can ask questions. We want the item that arrives to meet your expectations and be install-ready. We are building Legacy Industrial Electric LLC to be the company that you want to do business with. 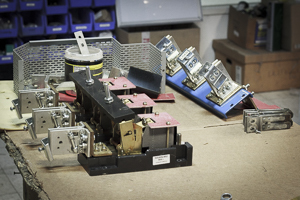 We want to be the supplier that you can rely on when you need bus duct components. You want to talk to a person, not navigate an endless list of menus. You want to place your order and not have to worry if it's going to show up. You want to know of any problems ahead of time, before your order arrives. You want a company that cares about your success.